Either relax with one of Christian Ozatti’s three Caribbean cocktails inside The Earl of Portobello or if you’re on the move, pick up a Lychee Daiquiri from the Mount Gay Rum Shack outside. One part boozer, three parts cocktail bar, Jake Burgher’s Portobello Star hits the spot with discerning drinkers. 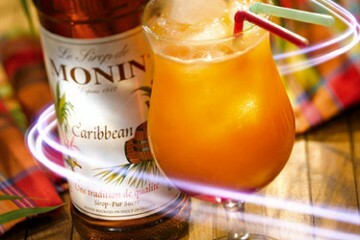 Expect plenty of cracking rum-based cocktails and a heady mix of top choons spinning throughout the day. Just off the full-on carnival trail but still within walking distance of all the action, The Shop is hosting Carnival Sunday. With rum punch, Red Stripe and a whole lot of DJs, turn up early for £5 entry, £10 from 10pm. No-one does carnival quite like the locals. And that goes for the neighbouring bars as well. You can almost smell the tropical heat at Trailer Happiness, the temple to Tiki and trailer trash chic. Sit back and relax with an awesome selection of rum-based drinks including the Dark & Stormy (Myer’s rum, lime juice and ginger beer); Atomic Punch (light rum, peach and passion fruit served long and topped with champagne) and Colada Nueva (Trailer Happiness grog: a secret blend of rums and elixirs, blended with pineapple, mango, passionfruit and coconut). 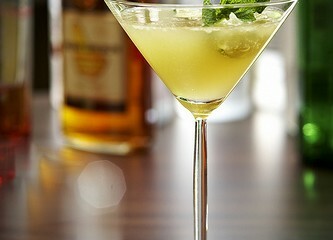 Take a break from the hustle and bustle of Covent Garden and nip into Dirty Martini. This weekend it’ll be offering Carnival Cocktails including Old Trinidadian (Angostura 1919 rum, Crème de cacao, maple syrup, Angostura bitters) and Caribbean Cruise (Eldorado 5 yr rum, crème de cacoa, pineapple, Prosecco). Take it nice and genteel with the special Caribbean Afternoon Tea (carnival cakes, banana fritters, tamarind balls and passion fruit shots), or turn it up a notch with the Island Cocktails. 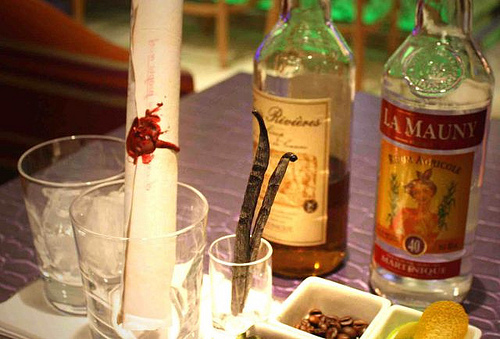 The list includes The Caribbean Cocktail (spiced rum, banana liqueur, papaya, ginger and lime) and Nelson’s Blood (fruit rum, cranberry, pineapple, orange and lemon, topped with a cinnamon stick).